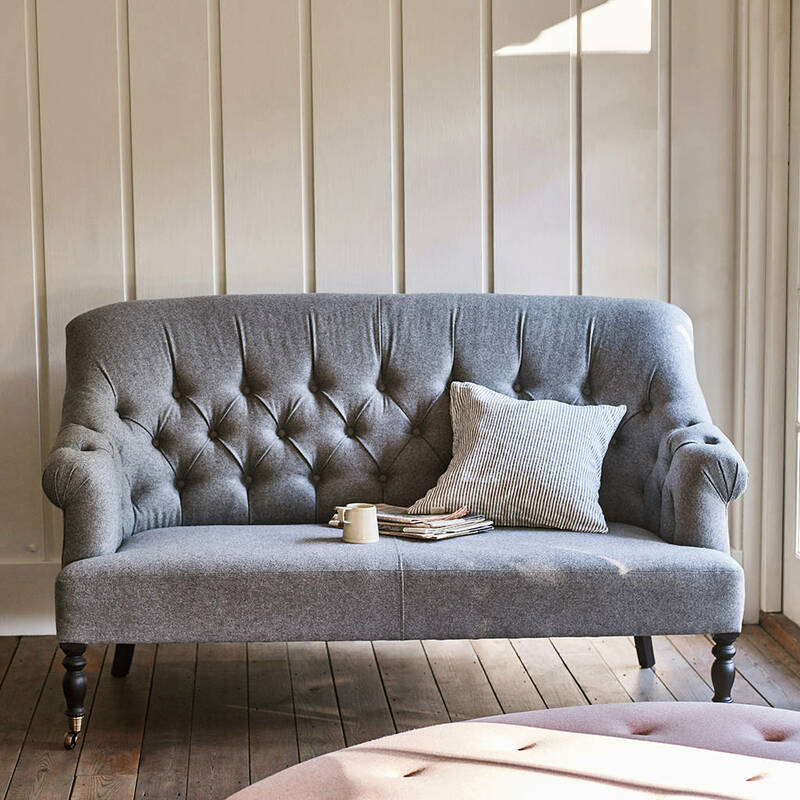 Studded buttoned backs and welcomingly splayed out arms; the details and form of the Chesterfield sofa have, long ago and deservedly, won their place. 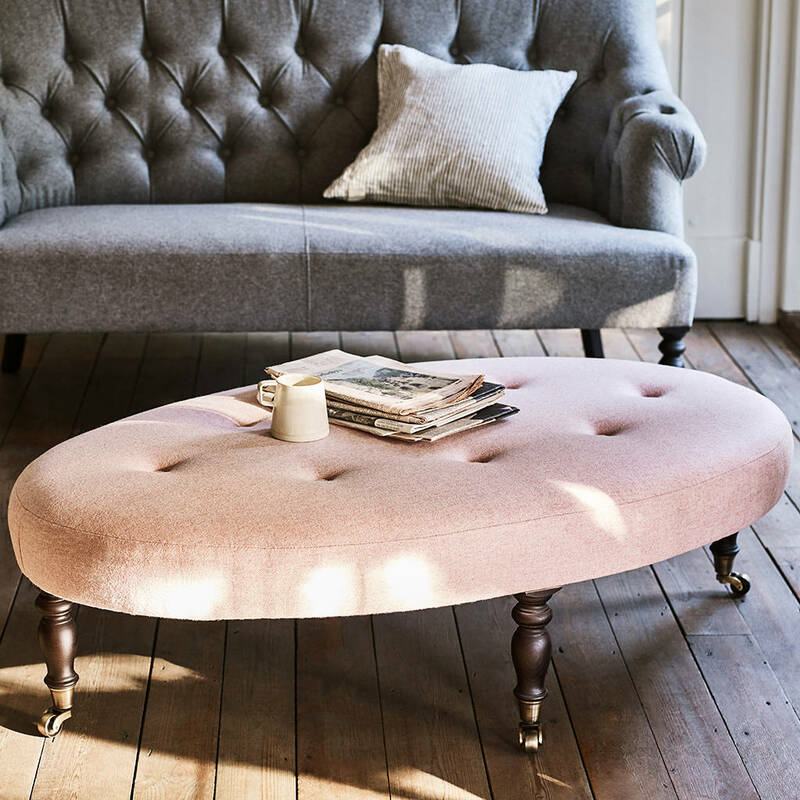 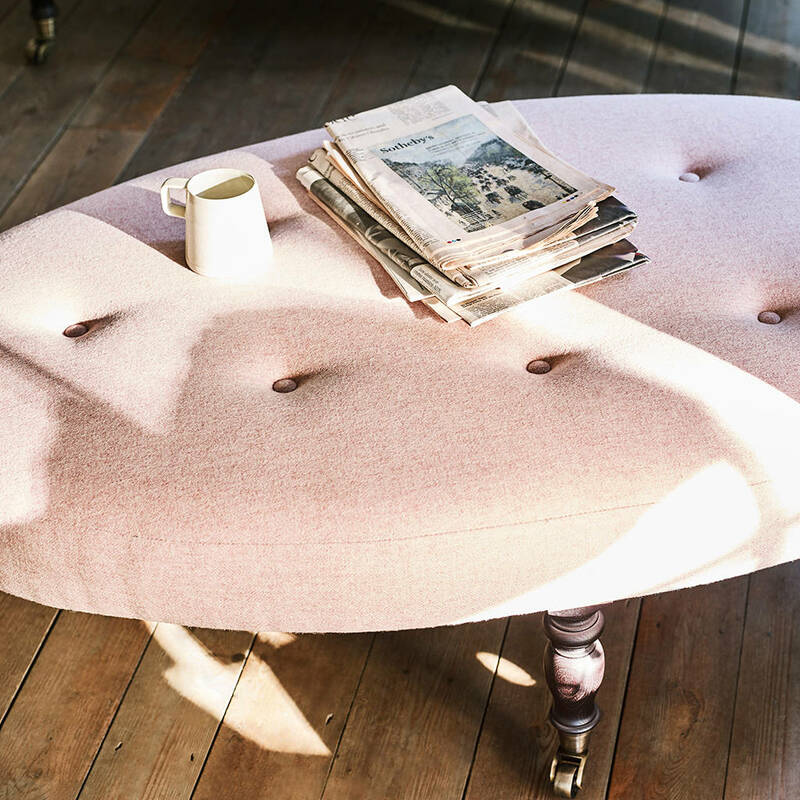 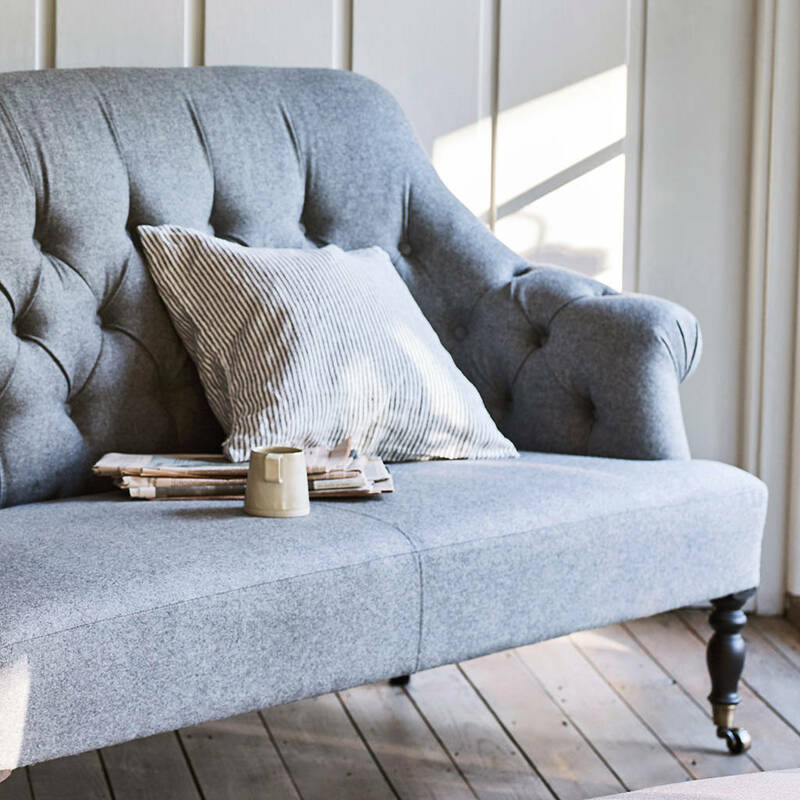 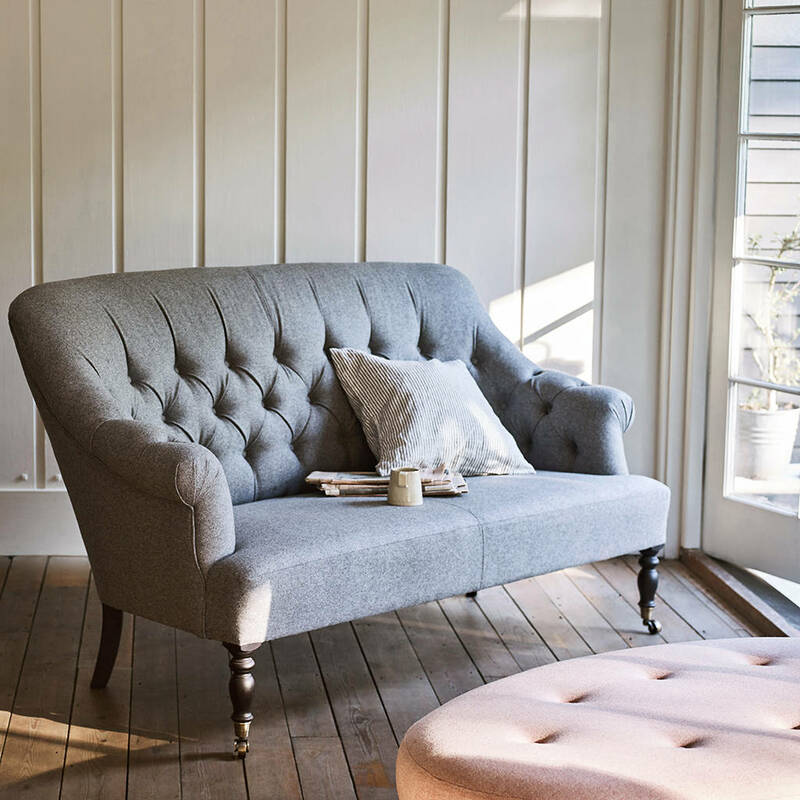 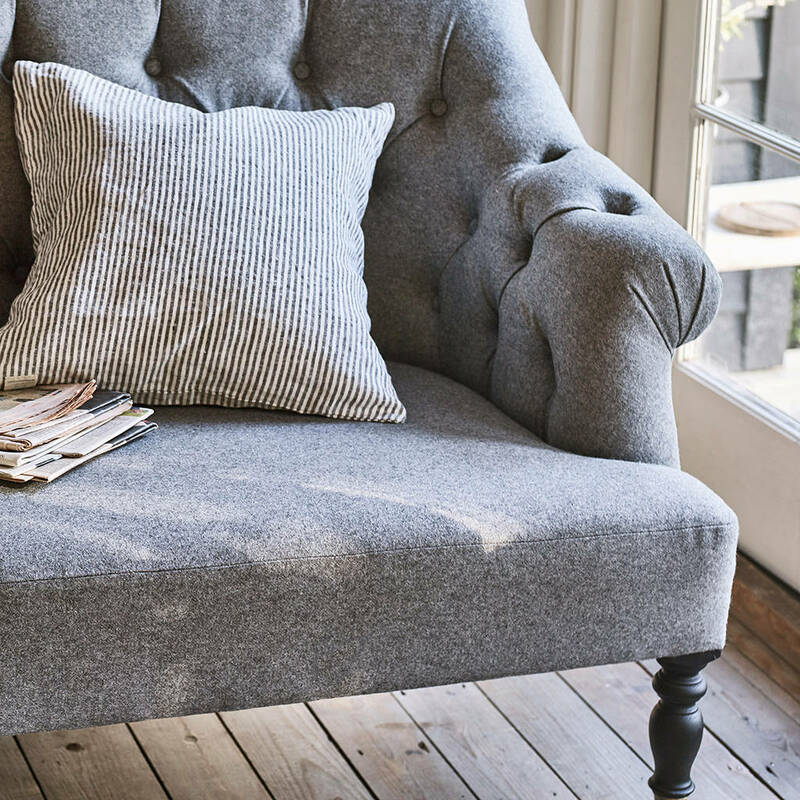 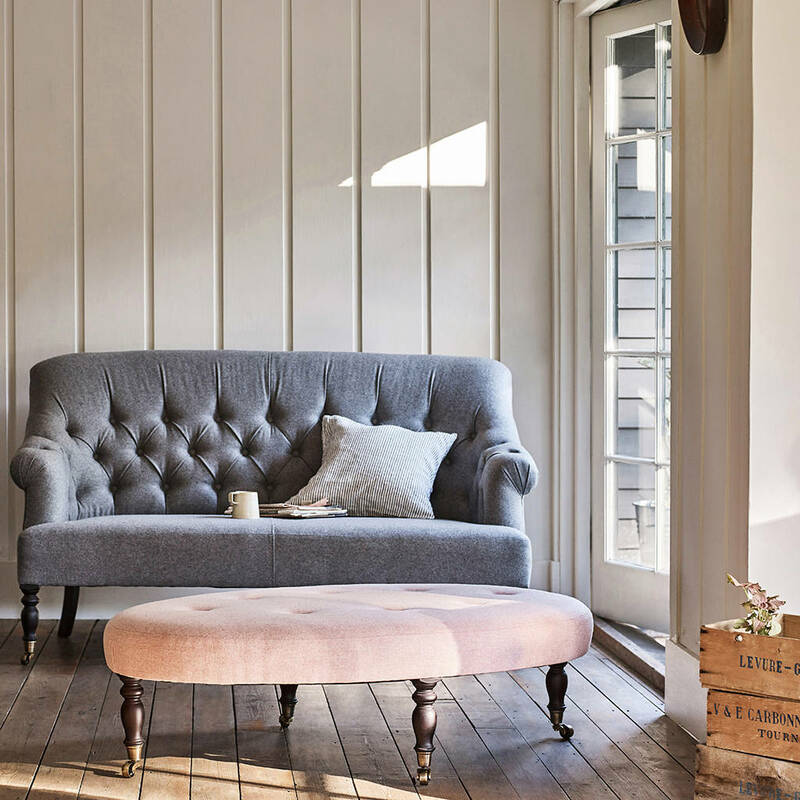 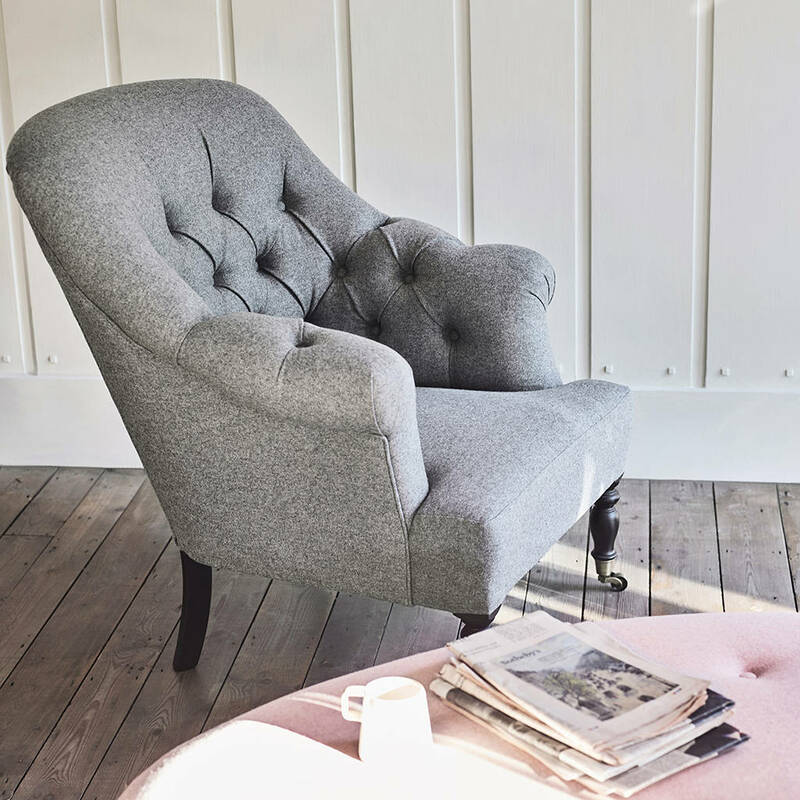 Our Chesterfield Wool nods in its direction in more than name; its shape recalls the clubby classic, whilst its finish and its choice of hues – grey or pink – lend a softer accent in comparison to its ancestors. 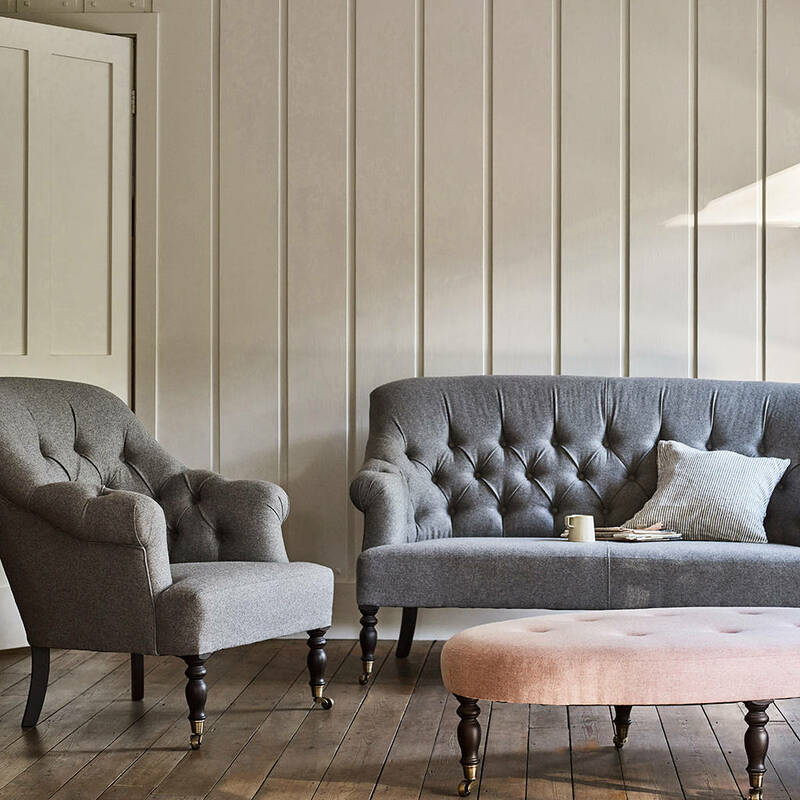 Sophisticated to its core, the trio – armchair, sofa and foot stool – are versatile enough to be as at home in a modern or rustic context. 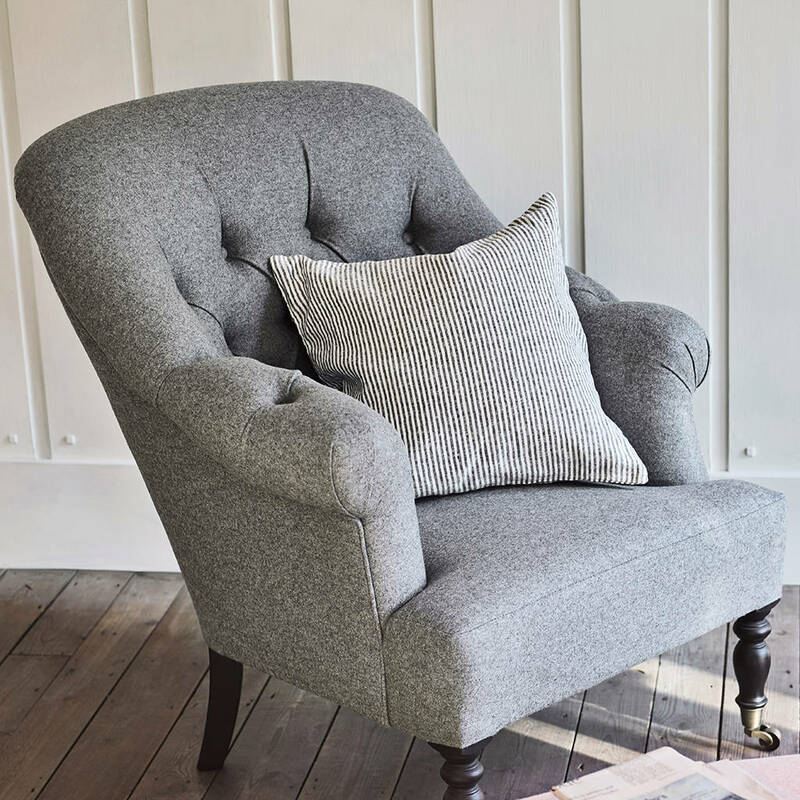 For a more relaxed look, do mix and match the colours and finishes (the collection is also available in velvet for a slightly smarter elegance). 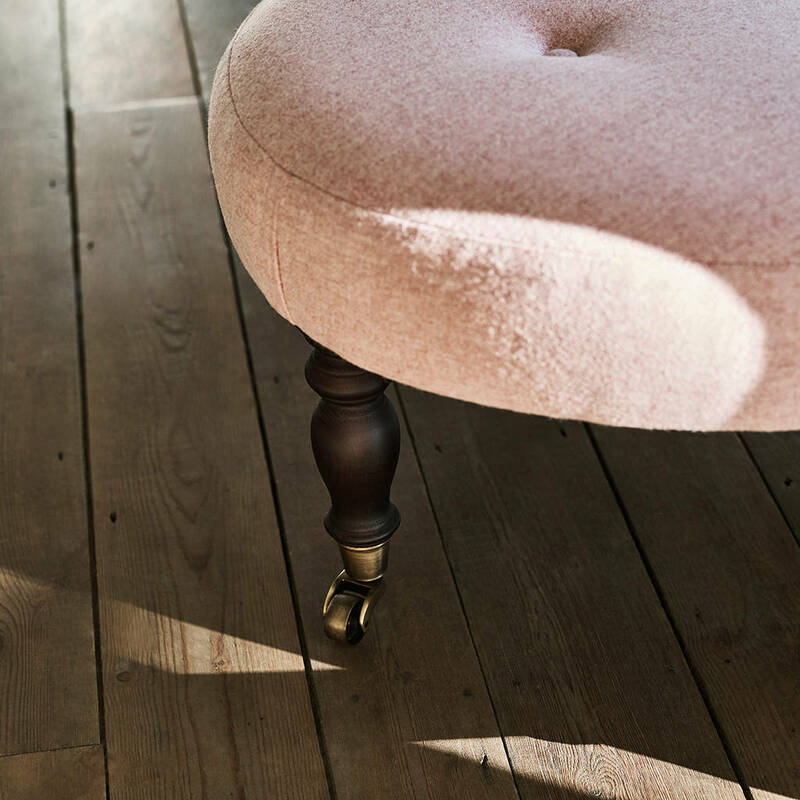 Both are held up by exceptionally well-turned wenge finish legs and brass castors. 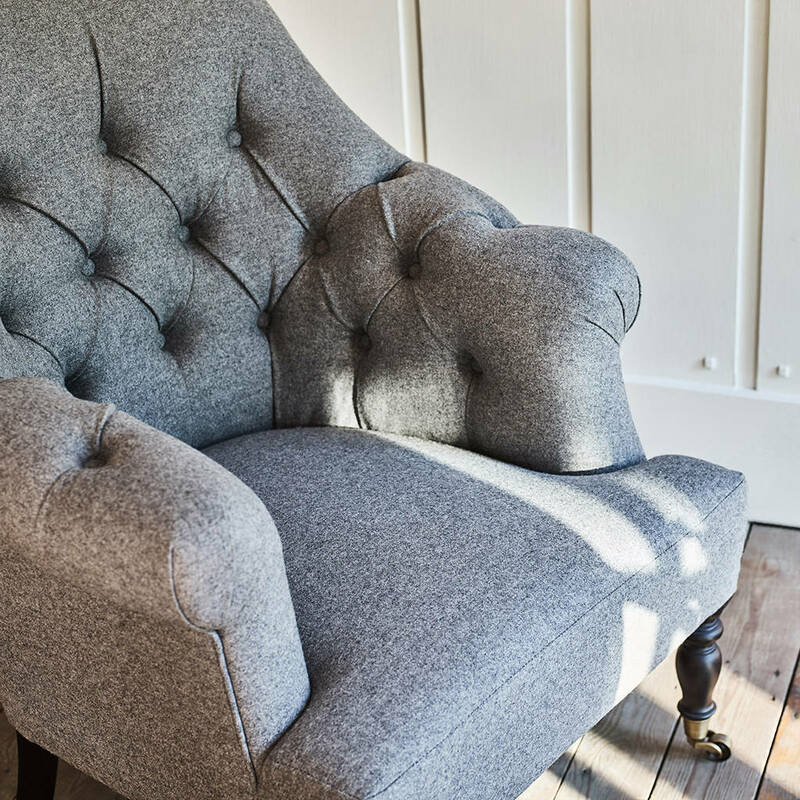 Armchair: Height 85cm, Width 73cm, Depth 86cm, Seat Depth 54cm, Seat Width 40cm.